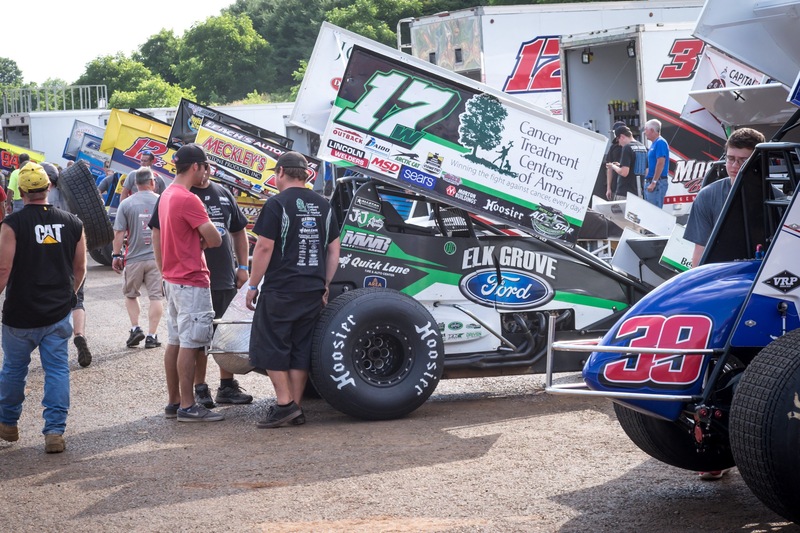 Friday night was supposed to be the opening race for the 2016 PA Speedweek, at Williams Grove Speedway. 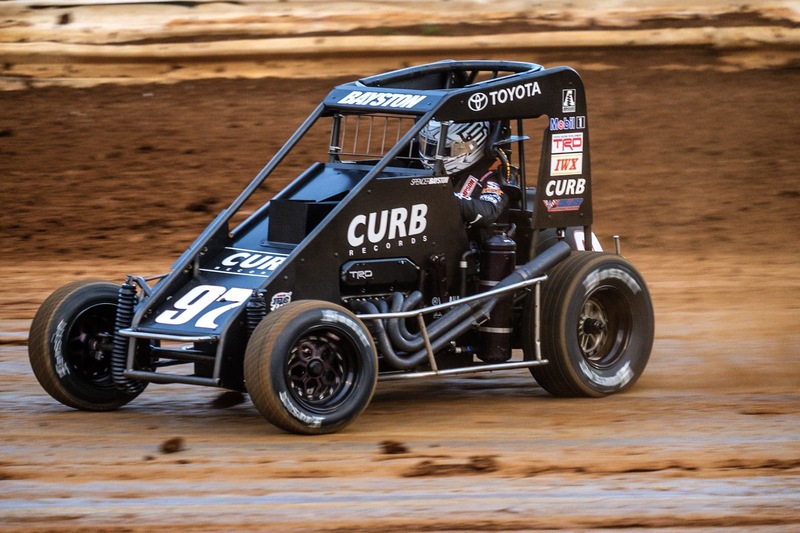 Mother Nature had different plans, washing out Friday’s race with a lot of rain. 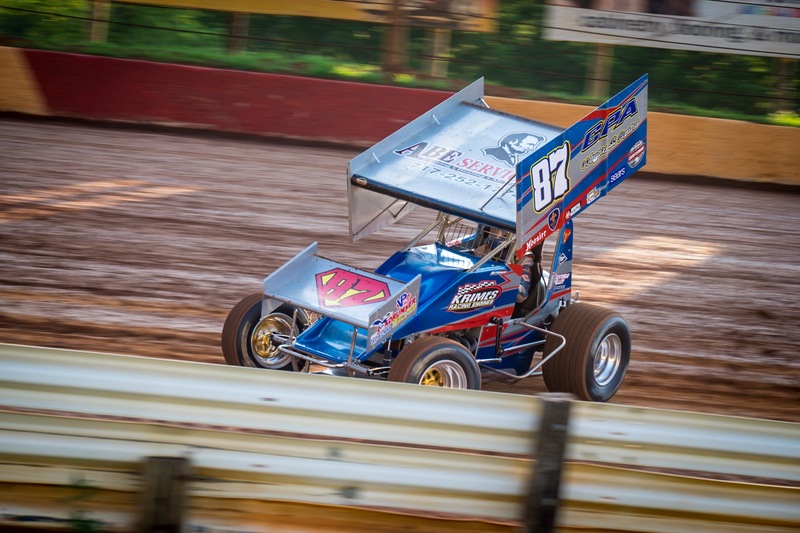 After Friday’s rain out teams headed to the Lincoln Speedway for 17th running of the Kevin Gobrecht Memorial race, and the first race of PA Speedweek. 40 sprint cars filled the pits for the the nights $7000 to win race on the beautiful red clay oval. 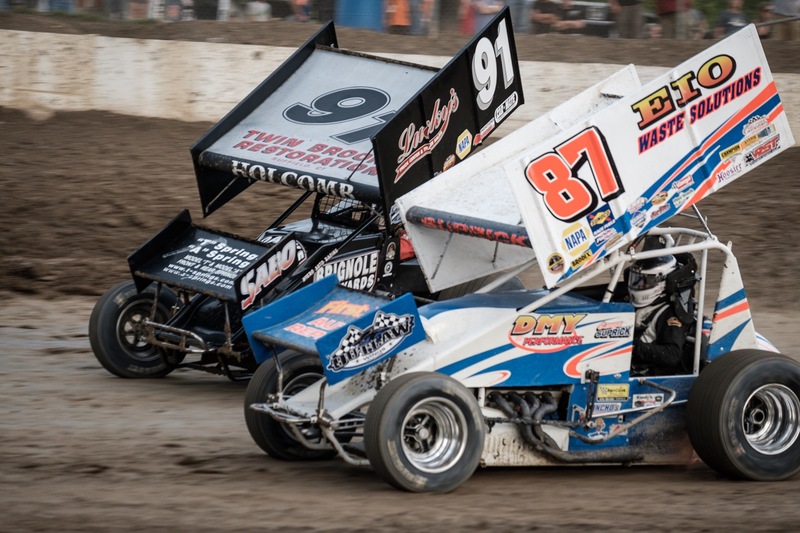 Along with the sprint cars, there were 30 legend cars on hand for a action packed night of racing. This was my first trip to Lincoln Speedway. 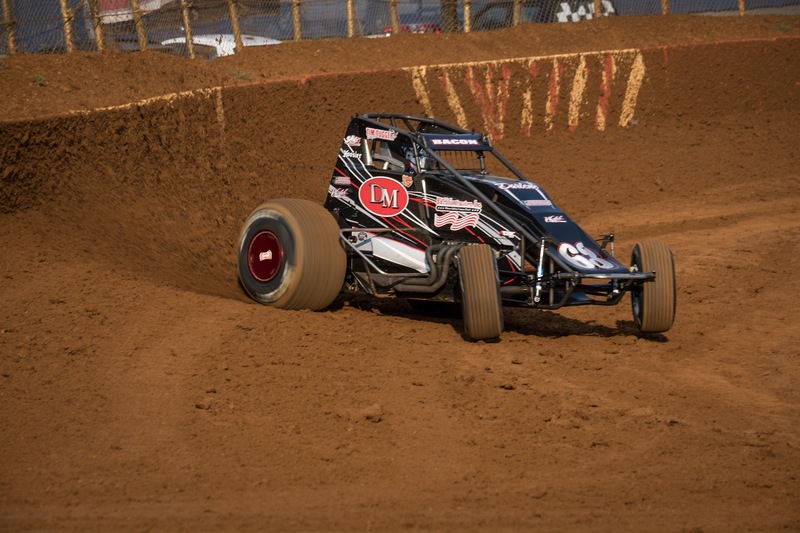 I have been to most of the other well know sprint cat tracks in PA, but never Lincoln. 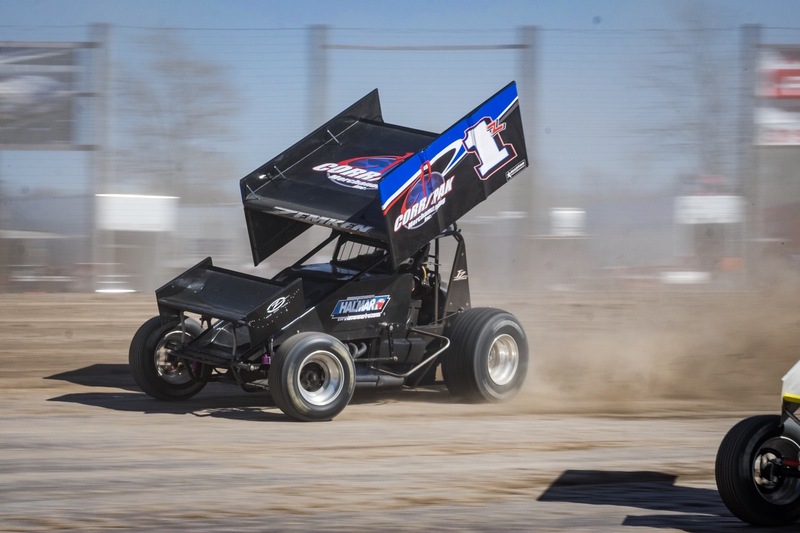 My good friend Bill,( a former sprint car driver) and I headed south early afternoon for some much needed Sprint car racing. From where we live it is a four hour drive. Some may say that’s crazy, but we say not at all. 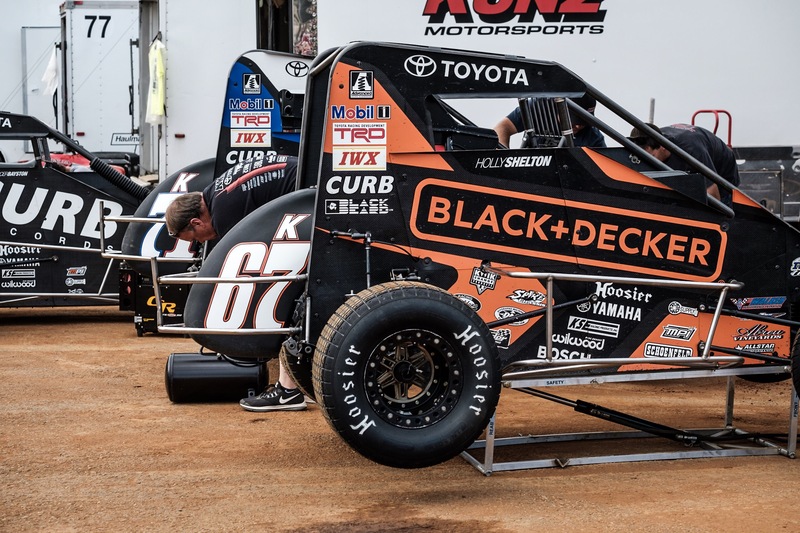 We live in Dirt Modified country, which is great, but we love our sprint cars as well. Our 4 hr. trip was a good one, we caught up on things in our life and of course talked some racing.😀 we arrived at the track around 5:15 or so..gates opened at 5:30, so we where right on time. 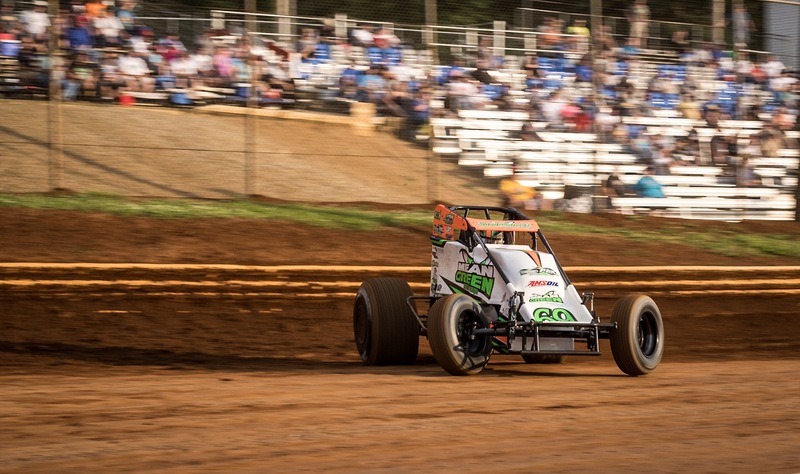 Just like most of the PA tracks, we are on a narrow winding road and then all of a sudden there is a awesome Sprint car track in the middle of no where. I love the. Character of the tracks in PA, they have a history to them, and it shows when you are walking around the grounds. We bought our pit passes and headed into the pit area to scope out the iron that would be competing for $7000. 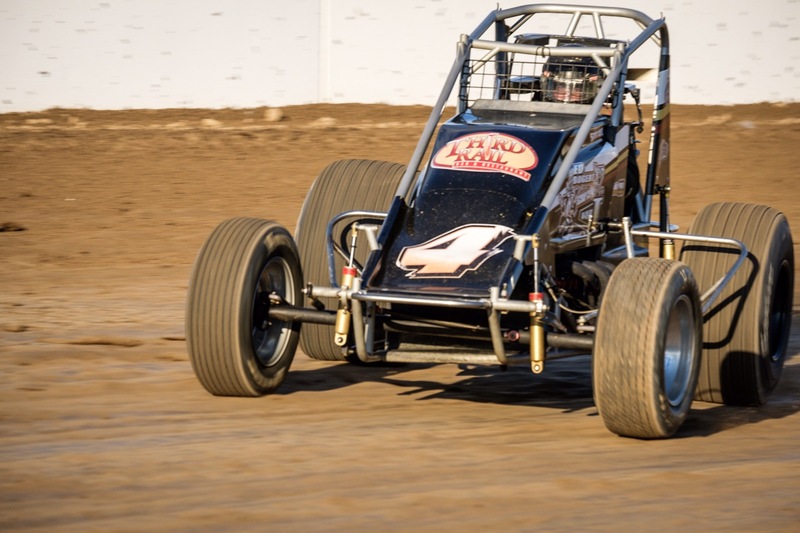 Just as we thought a stought field of cars for sure we’re in hand, including Stevie Smith in the Rahmer #51s, always fast Greg Hodenett, and USAC ace, Bryan Clauson. That is just a few of the heavy hitters we noticed when we first walked into the place. The grand stands filled up fast, along with the infield with loyal PA sprint car fans. I love this about PA the fans are dedicated, and the tracks let them go into the infield with their family to watch the races from there. I would love to see Some of our Modufied tracks in NY do that as well. 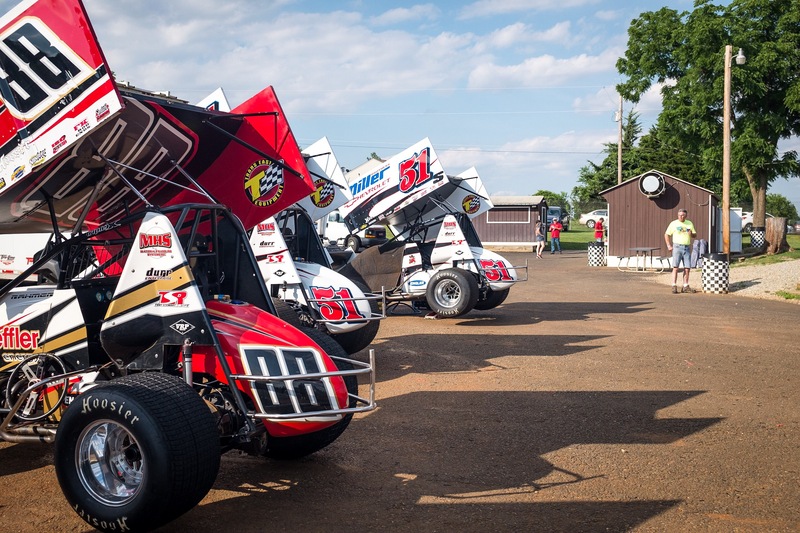 Around 7:00 the sprint cars were pushed out onto the track for their hot laps before time trials. I was able to get some good shots in turns three and four during hot laps. Turns one and two had a tall fence in the infield that was to high to just stand there and shoot. This sucked because it would have been great shooting at that end if the track. Next time I am bring a ladder. Soon after practice the cars made their way into the track two laps of time trials. 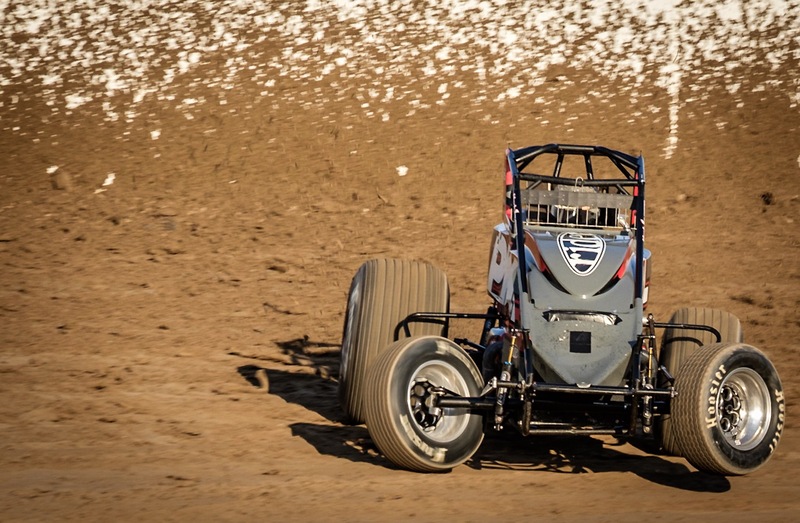 Greg Hidnett set quick time at a 13:3 second lap, for a 102mph average speed on the tight narrow track. The early cars had a advantage for sure with a heavier track. 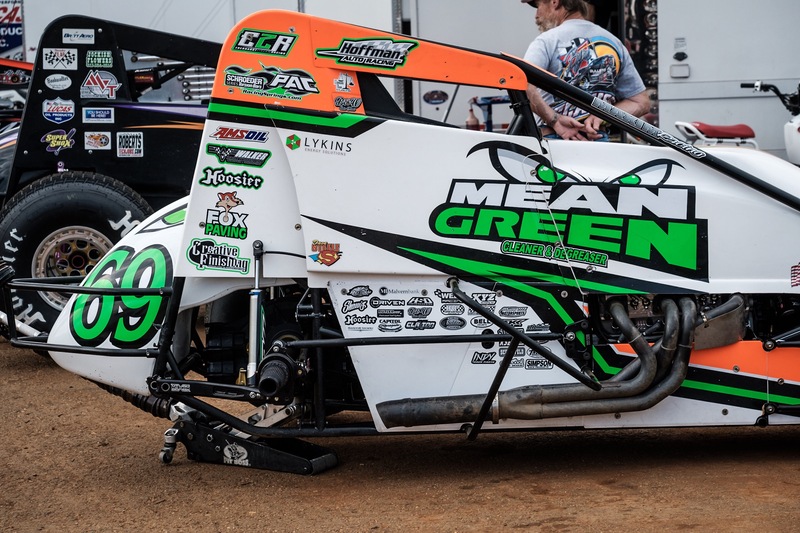 After time trials were over the teams prepared their cars for four exciting heat races. 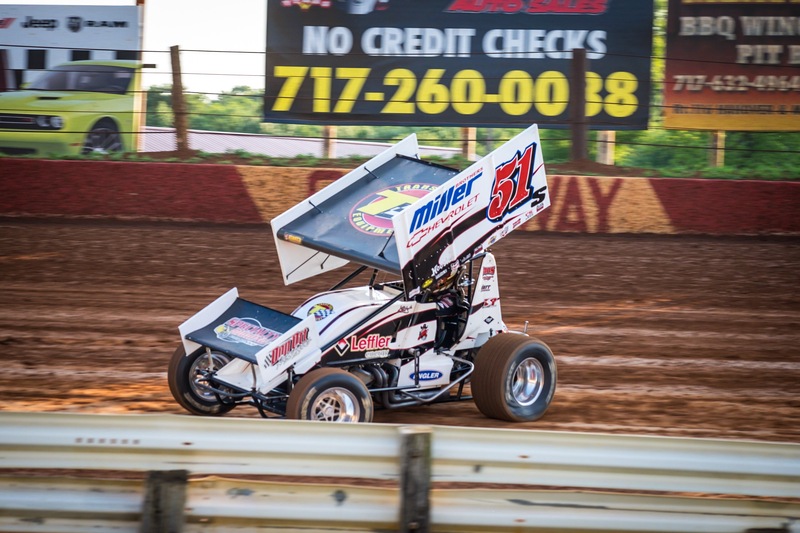 Heat one was a battle with Stevie Smith taking the win in his Rahmer 51s ride. The second heat winner was #59 Jim Siegel, and #11c Cory Hoss getting the top two spots. 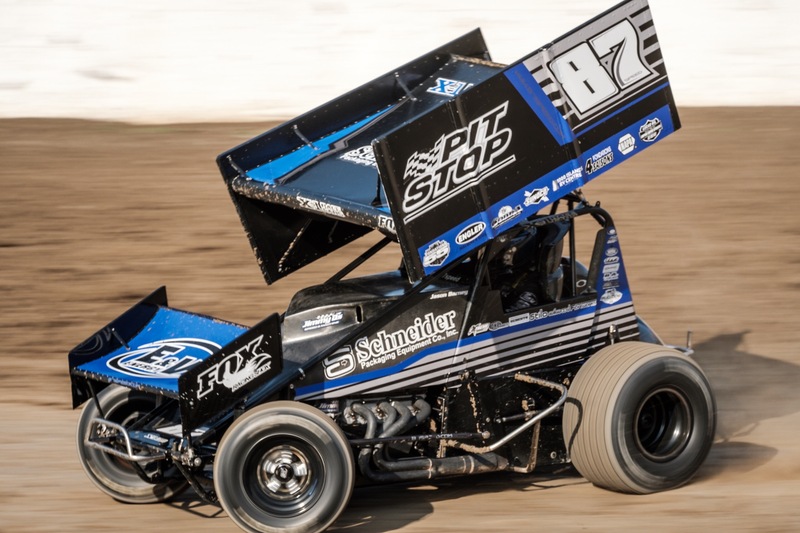 Winners of the last two heat races were Lucas Wolfe in the Zemco # 1, and # 87 Alan Grimes. All four of the 8 lap heats were exciting to watch, with battles all through the field. Next up were the legend cars, which put on a great show for the fans. These cars get it on for sure at Lincoln. As soon as the heat races were over the track crew went to work preparing the track for the nights main events. 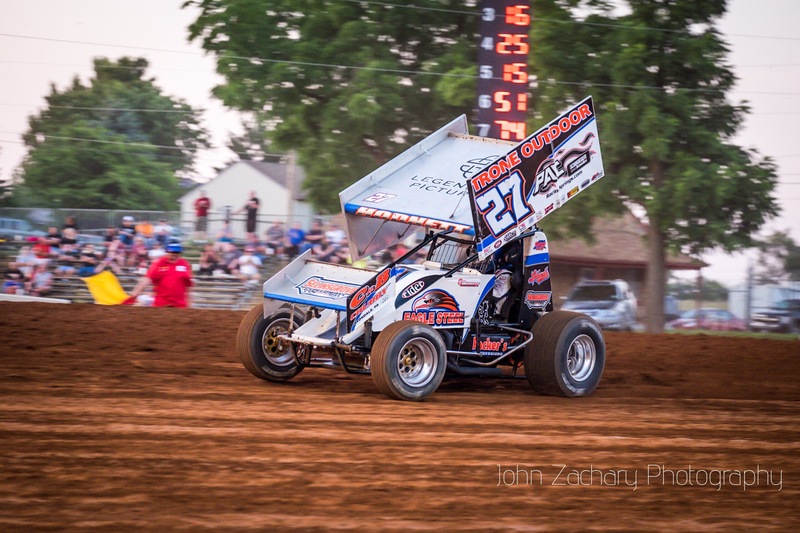 After the the redraw for the sprint cars , lance Dewease found himself starting in the Pole with Lucas Wolfe along side in the front row. Dietrick, Hodnett, and Smith rounded out the top five for the 30 lap main. Before we cloud go A-Main racing we needed to have the B-Main fill out the stellar field. Now this race was a barn burner. 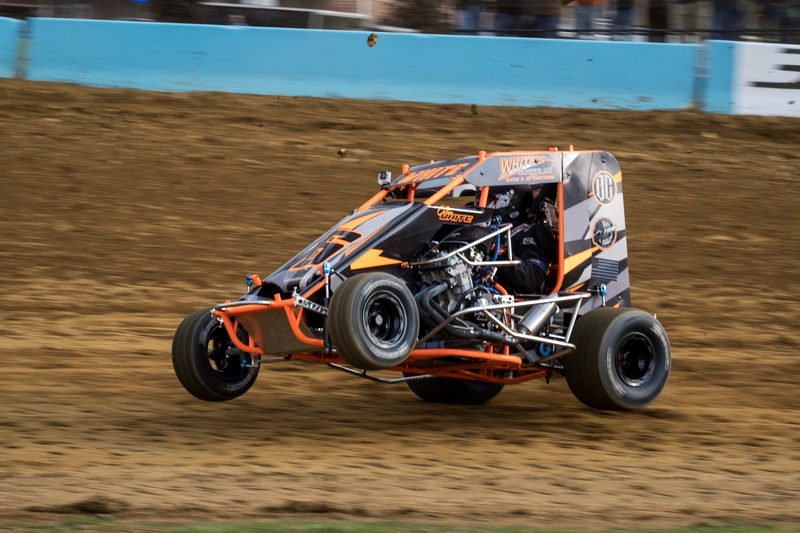 With both Rahmer Boys trying to get into the Main and a host of other fast guys gunning for the $7000 purse as well not only revere they racing for a nice purse at Linclon, but they scored points for all of the races all night. 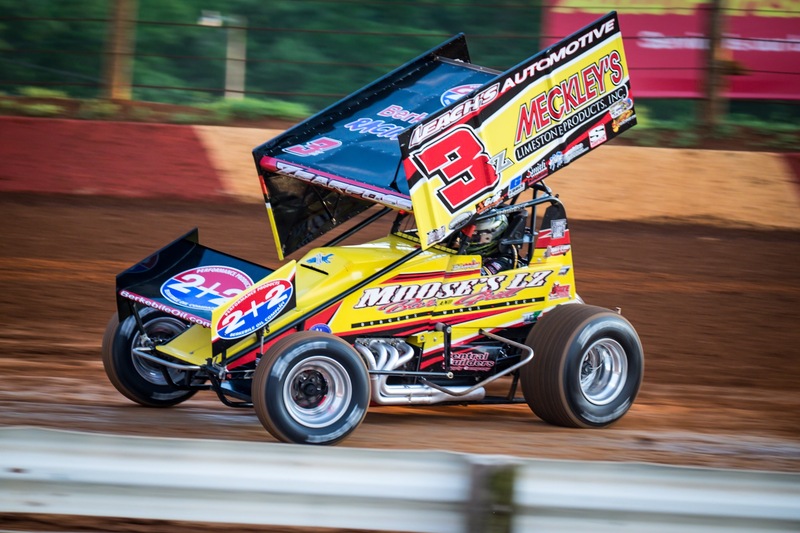 These points add up all week at every track they compete at towards the PA Speedweek point title. This puts more pressure on the teams every time they hit the track. 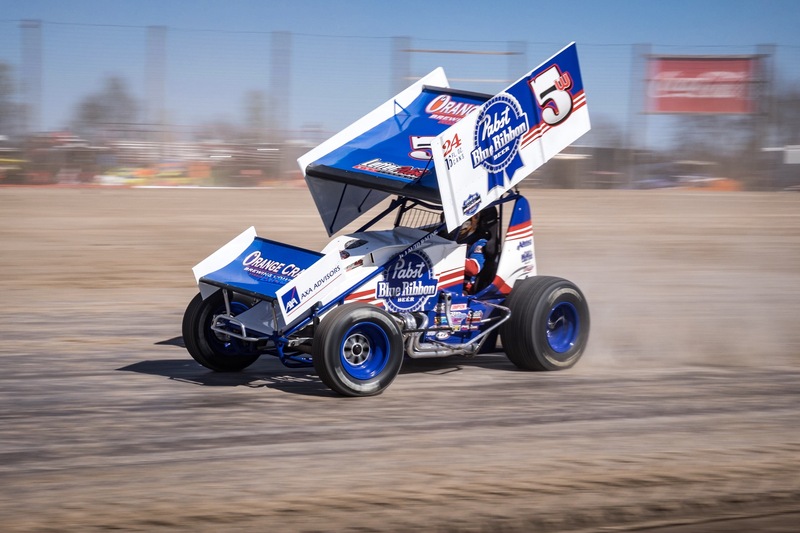 #51 Freddie Rahmer, and #3z Brock Zearfoss battled mist of the B main with Zearfoss getting by Rahmer on the last lap. Chad Dietz, and Brandon Rahmer also made it into the nights A-Main. Fred Rahmer wS pacing back and fourth in the infield watching his sons trying to make it into the main. It was a great race from strart to finish. After the dust setteld from that race it was time for the Kevin Gobrecht Memorial race. This is what we drive 4hrs to see. The stage was set, and the cars were being pushed off for their main event. At the drop of the green flag Lucas wolfe put his Zemco #1 out in front of Dewease, and Smith. Wolfe lead the field for the first 8 laps, until Lance and his famous #69k made a move for the top spot in traffic. 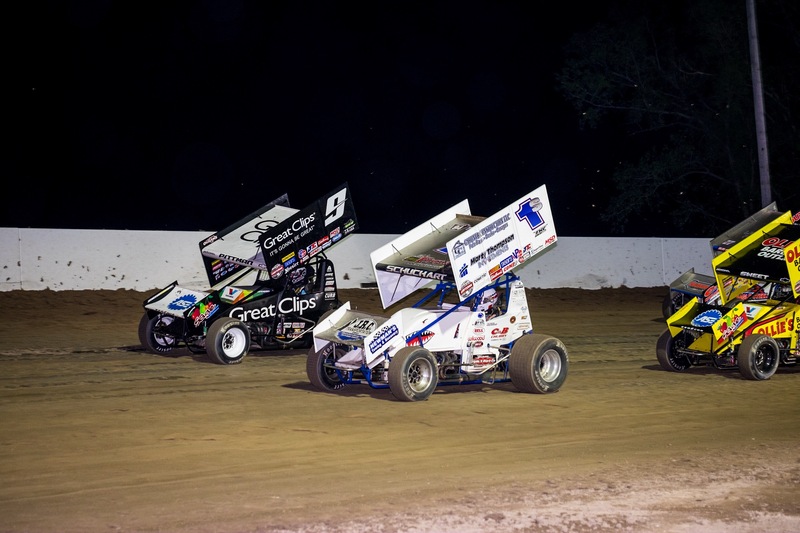 Smith, Hodnett, Dietrich all followed putting Wolfe back into the 5th spot.A Donnie Kreitz cars hasn’t been to victory lane at Lincoln Speedway in ten years. So the fans were in their feet when the blue car went to the front. Dewease pulled out a good lead until the first caution tighter up the field again. 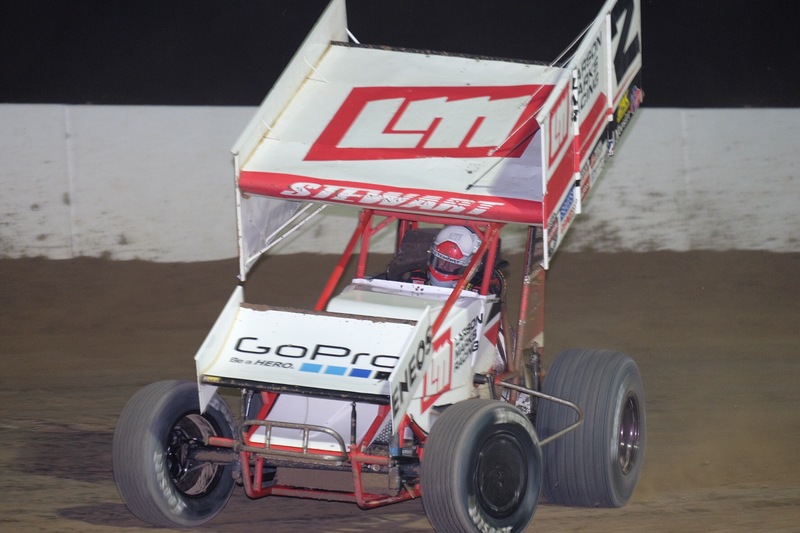 After the restart Stevie Smith made a couple attempts to get by Lance but just could. Not make it stick. Mean while Dan Dietrick was up to third charging up on Smith. A red flag stopped the race with 6 laps to go, after Gernard McIntyre put his car on its side in turn four. 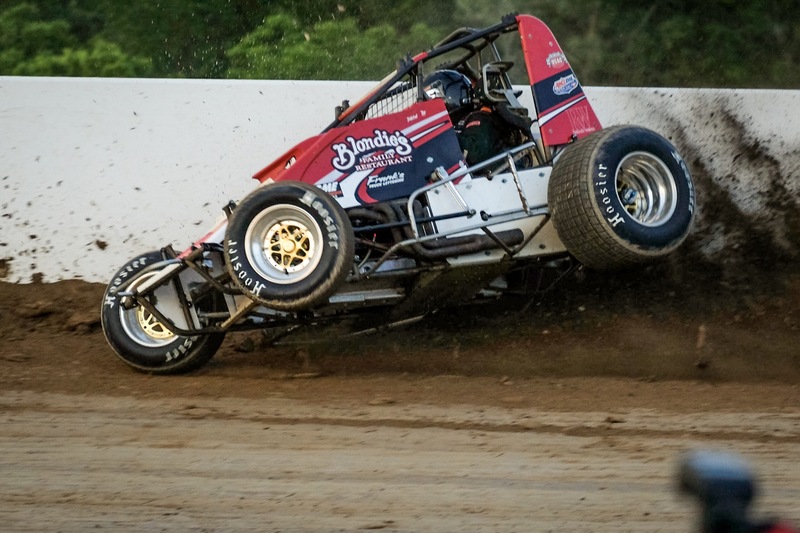 After the wreck was cleaned up the green flag flew again for a exciting 6 lap dash. 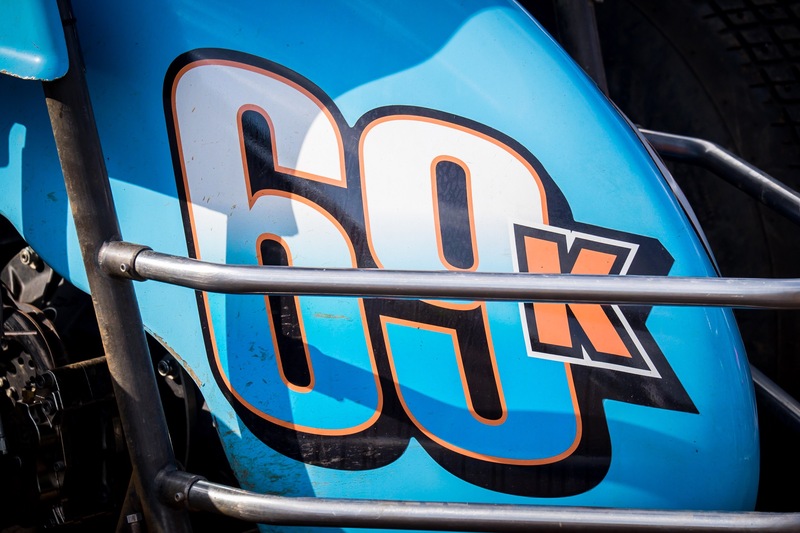 Again Smith tried to get past the #69k, but Dewease was doing everything he could to keep the competition behind him. With in a couple laps left Dietrich put his foot down and made a hard charge past Smith, and right up to the rear bumper of Dewease. Dan came up a bit short at the checkards, but he put on a heck of a show late in the race. 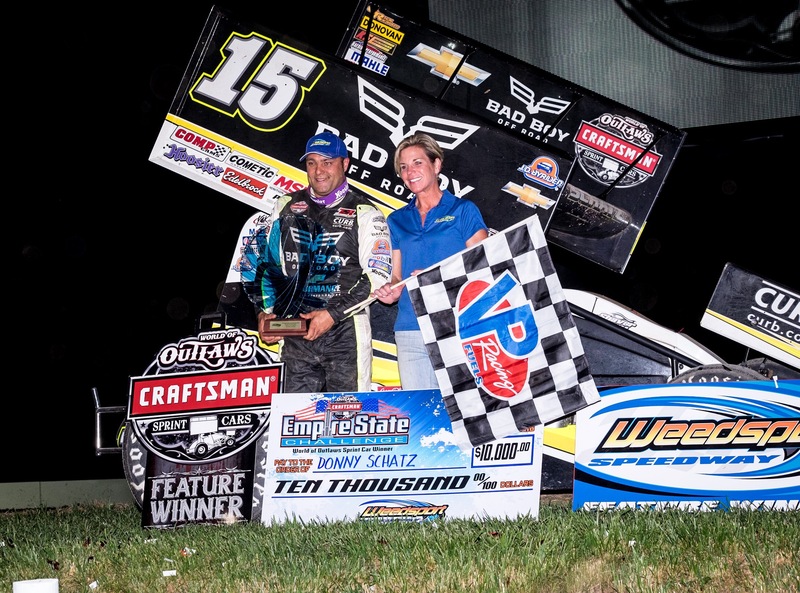 It was really cool to to Dewease and Kreitz in victory lane after so long at Lincoln. These two have had a good season so far this year, with a long season to go. 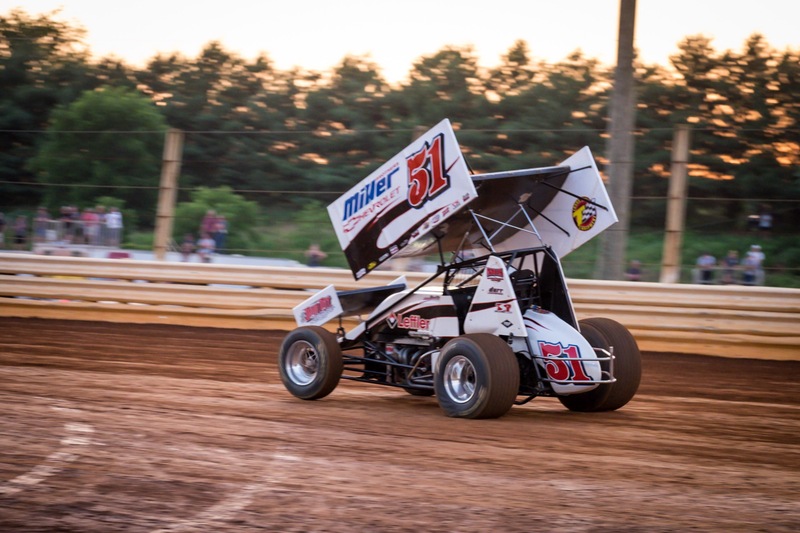 Next up for PA Speedweek is Party at the Path Sunday night for round two of the week long series. Dewease, Dietrich, Smith, Hodnett,and Wolfe rounded out the top five in the A-main. We had a great time at Lincoln, and I will definitely be back this year some time for another show. I got home around 3:15 in the morning, but it was well with trip. 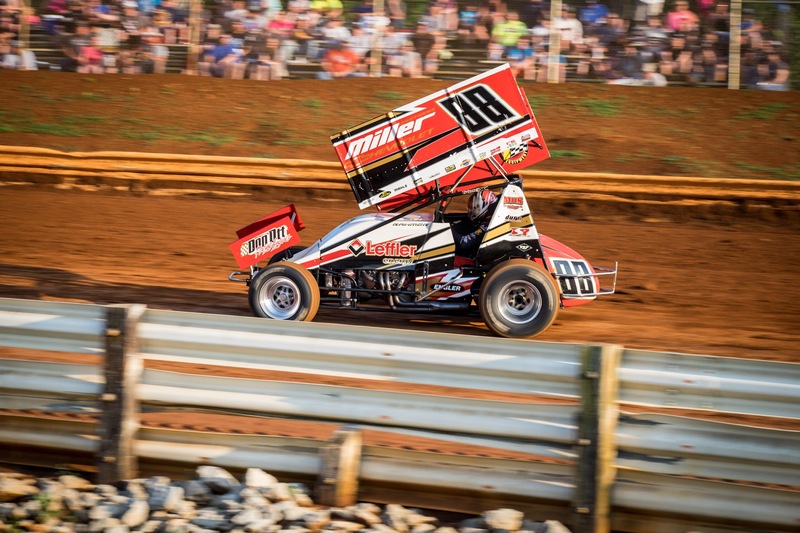 If you get a chance to head to Pa for a sprint car race this summer. Do it, you would be disappointed. 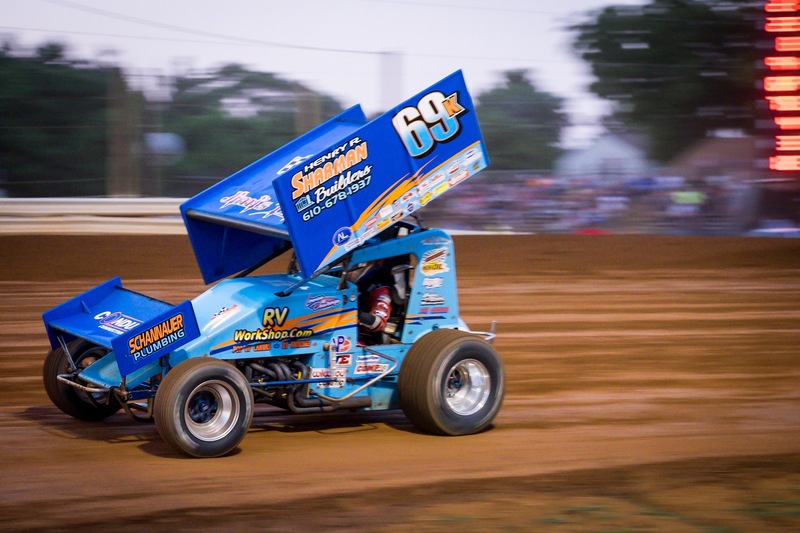 Just in Greg Hodnett won Sunday’s Path Valley race. 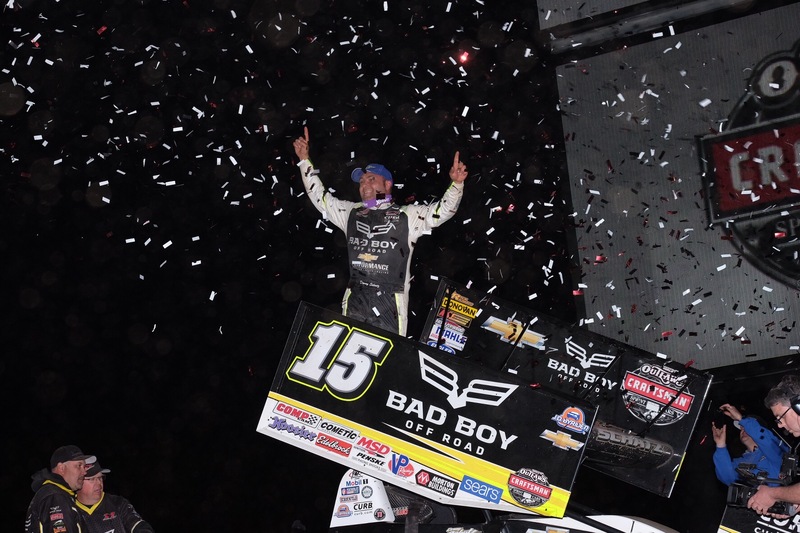 Donnie Schatz earns his 7th win of the grueling WOO Sprint Car Schedule. 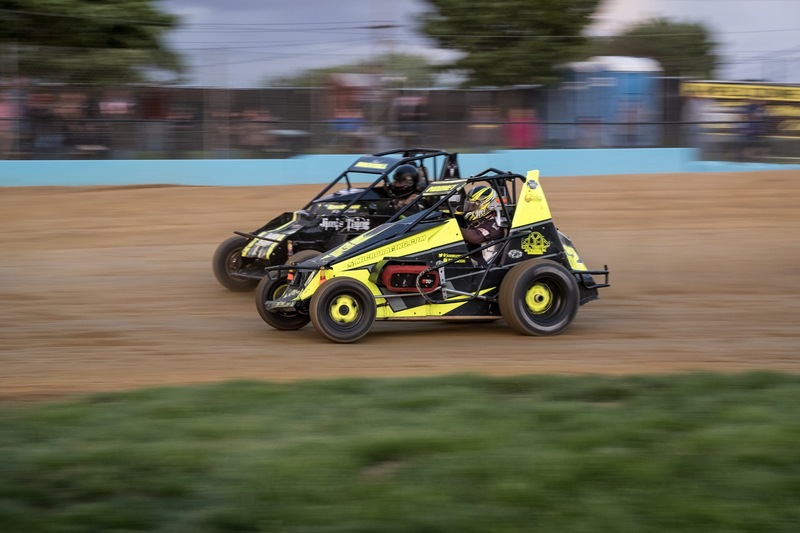 Weedsport Speedway opened it gates for the first time this season with a double bill show that proved to be a good one. 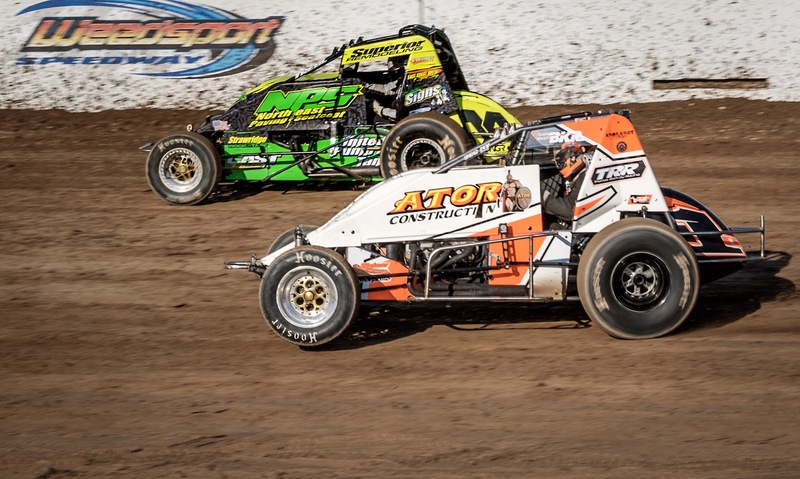 If you haven’t visited Weedsport Speedway in a few years, then you really should make a point to do so. Crome the well prepped track surface, to the new grandstands, and let’s not for get the HUGE Jumbotron. Along with of those cool nuances let’s talk about the LED lights that light up the track. These things are awesome. I shot most of the night without a flash on. With these new lights it changes they way we as photographers can shoot a race, but that is for a different blog post. Ok enough of that stuff lets get back to why we were at Weedsport. 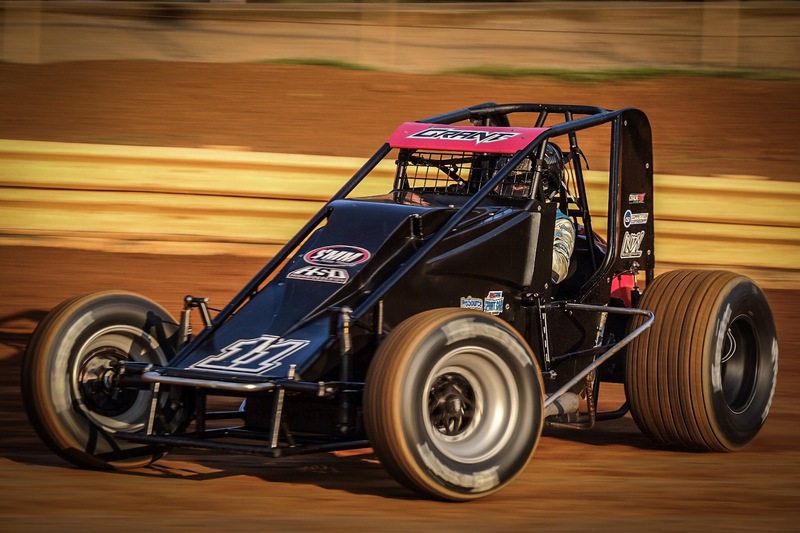 Sprint Cars, Sprint cars, Sprint Cars, that’s all I have to say. 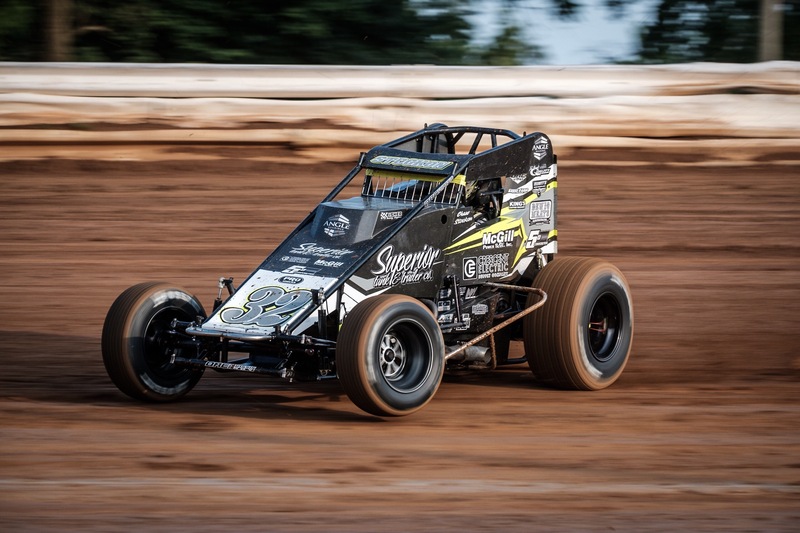 The WOO Sprint cars made their way up from PA to give us Dirt Modified fans a thrill. 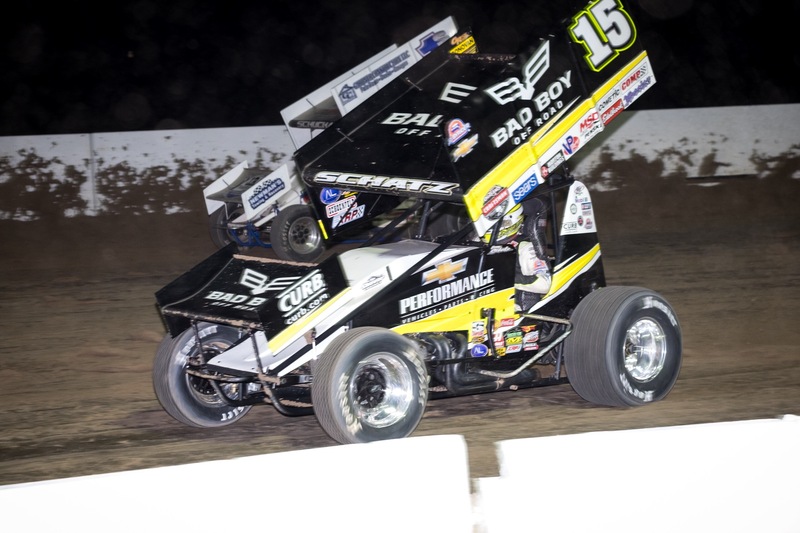 Donny Schatz seems to have his stuff together when he shows up at NYS dirt tracks. Heck let’s face it he has his stuff together where ever he goes. 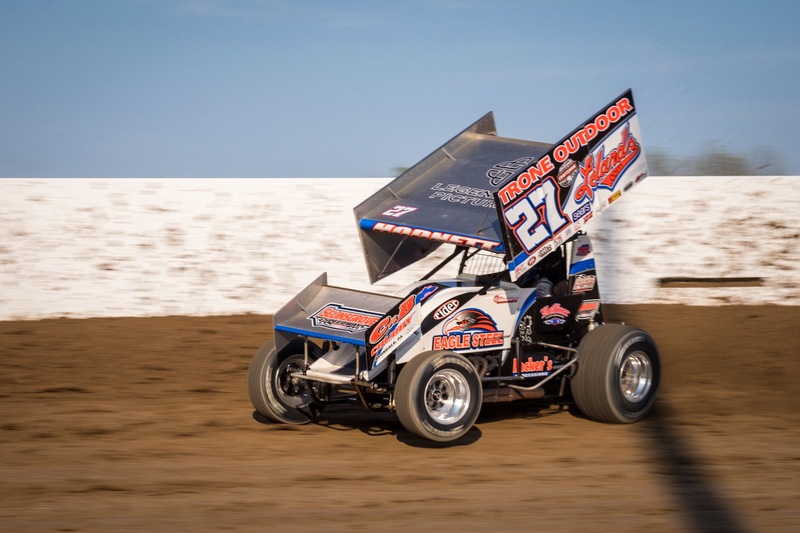 Pictured above Joey Saldana set a new track record in his Famous ” Beef Packers” car. 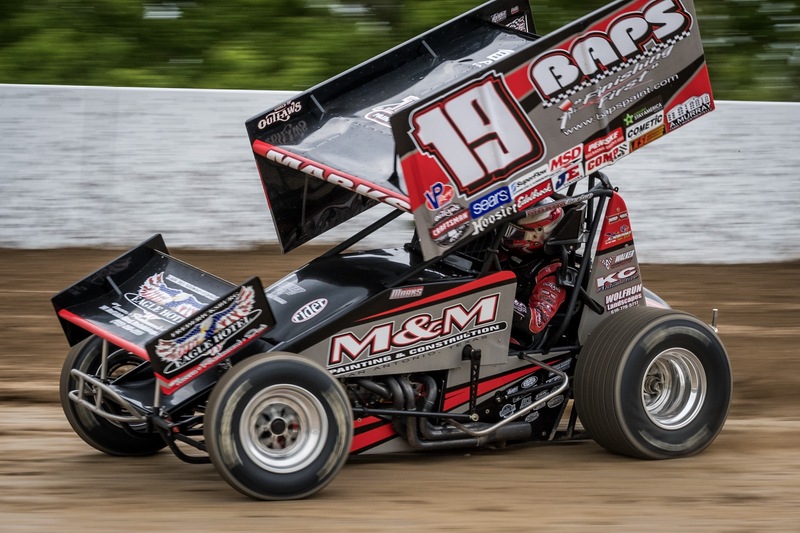 Joey ran flat out around the tacky banked Weedsport Speedway at 12.274 seconds. 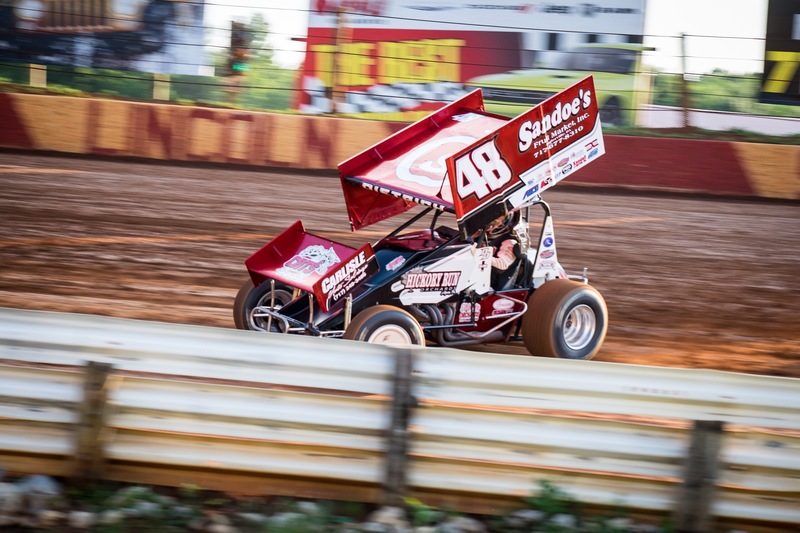 Saldana was a touch faster then Hodnett, Logan Schuchart, and Daryan Pittman. 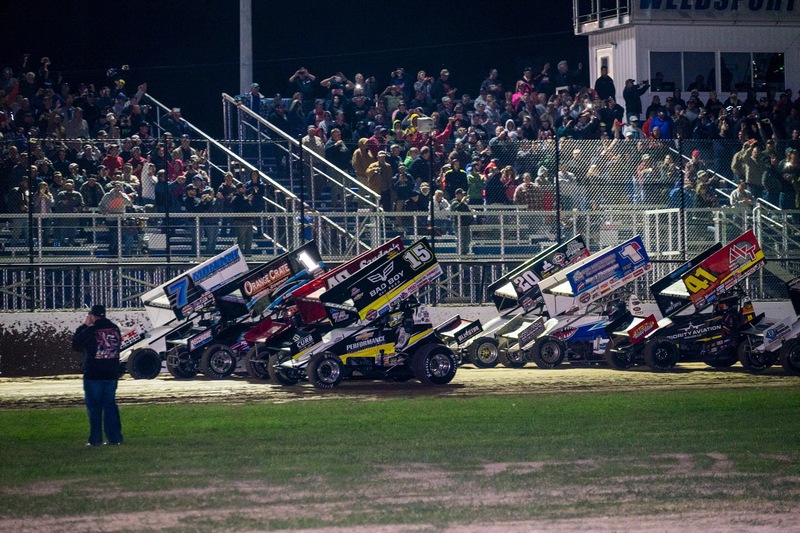 After the thrilling Sportsman race the sprint cars rolled out onto the speedway for the pre-race program. 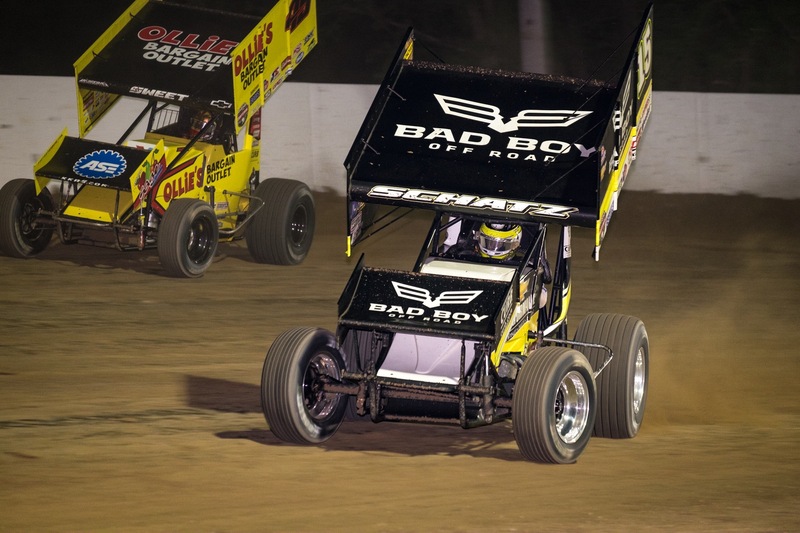 The news track lights started to go off and on in a sequence that went around the track along with some fireworks to get the crowd pumped for what they were about to witness, Sprint Cars. As the cars fired up in front of the push trucks, music blasted through the High Def sound system, and the packed grandstands roared with excitement. Fans waited for the Four abreast parade, that still gives me goosebumps. After a couple parade laps the driveres stepped down on the throttle to clean out their 410ci power plants. Logan Schuchart lead the all star field to the green. 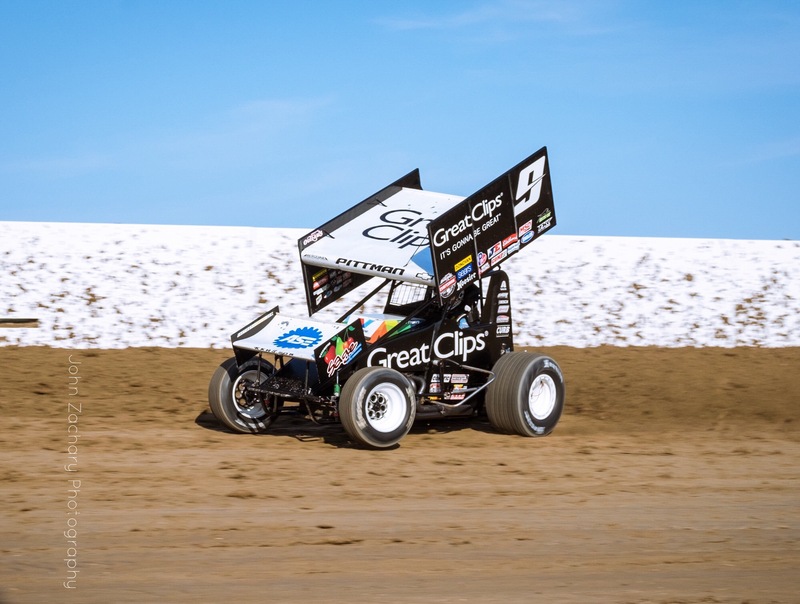 Logan is still looking for his first WOO feature win. 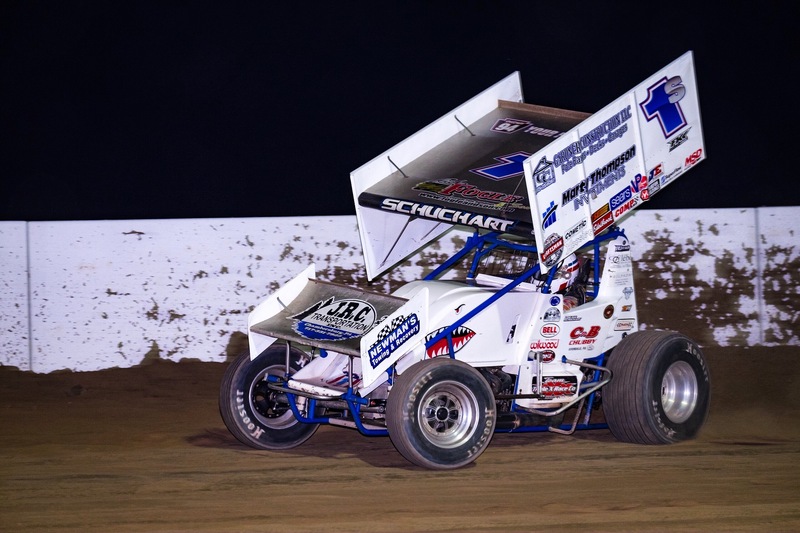 Let me tell you Schuchart did a great job out front all night except for the last five laps. 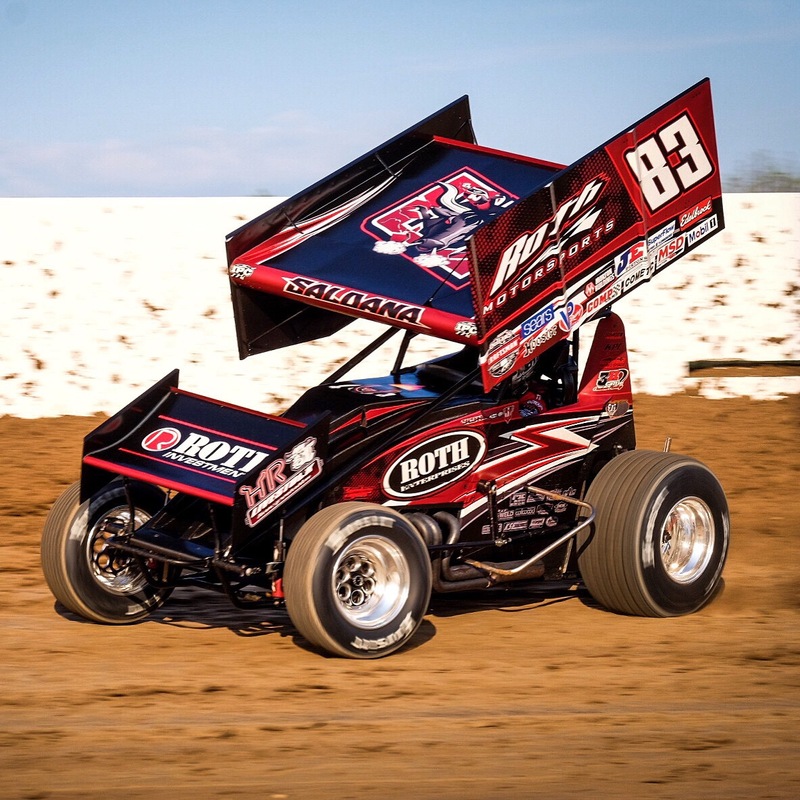 Schatz started 9th with 8 heavy hitters ahead of him. I reall didn’t think Donny was going to win, but you can never count him out. 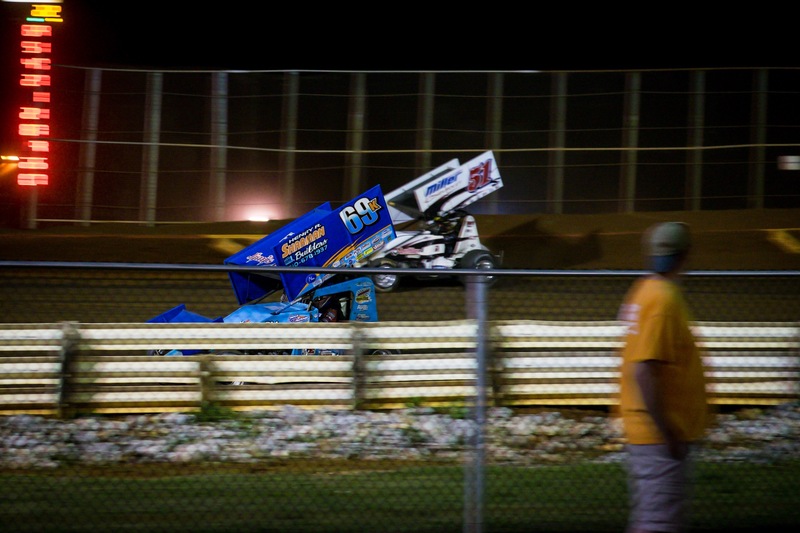 Pittman and Hodnett got together and into the fence at the start of the race. This definitely changed how the race played out in my opinion. 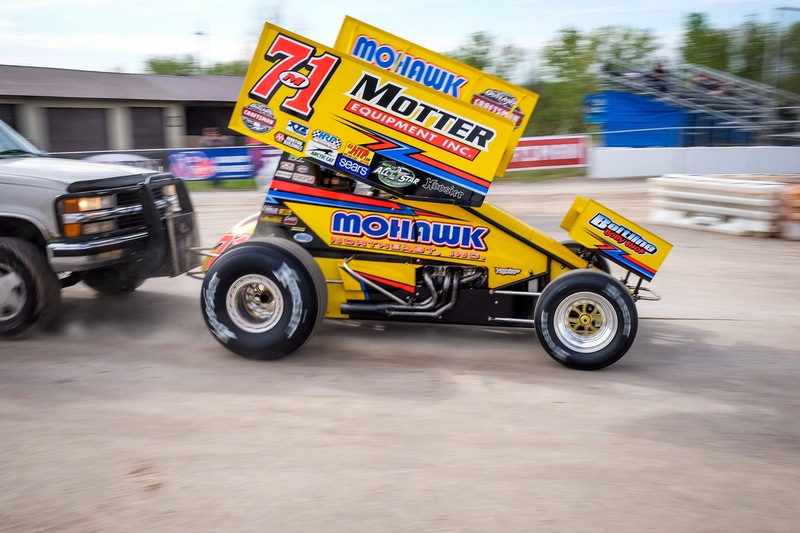 At a WOO event the leaders run into lap traffic after a few laps, and this race was no different. 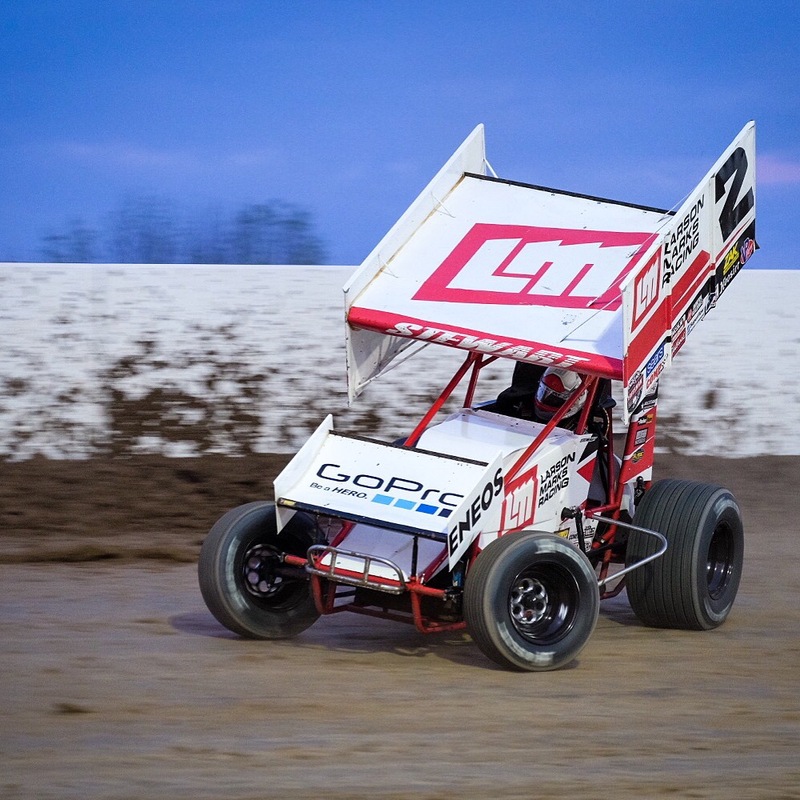 Logan got out front early keeping Saldana, Gravel, and #2 Shane Stewart behind him. After a few caution flags I noticed that the #15 car had made his way into the top three. 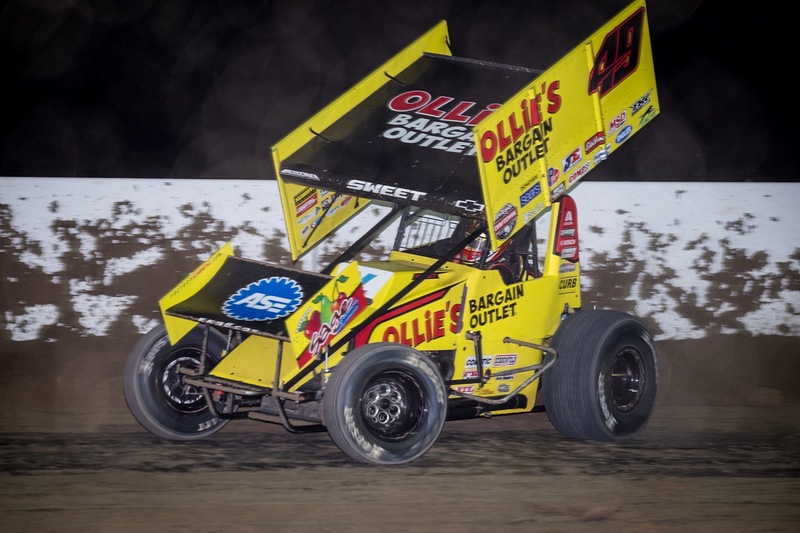 Schatz had been working the bottom most of the race picking off one car at a time. Meanwhile Logan was running both the top and bottom trying to get through traffic. 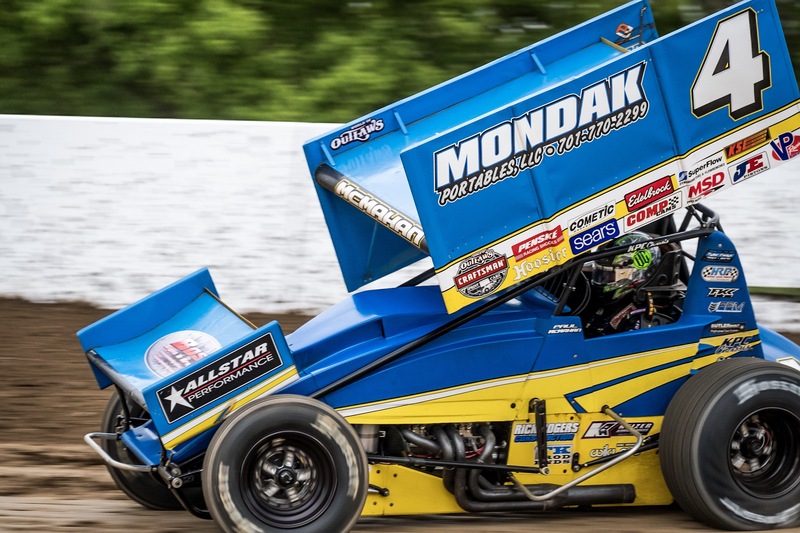 Lap 30 Schuchart went up high in turn one giving Schatz the bottom, and the room to move into the lead. 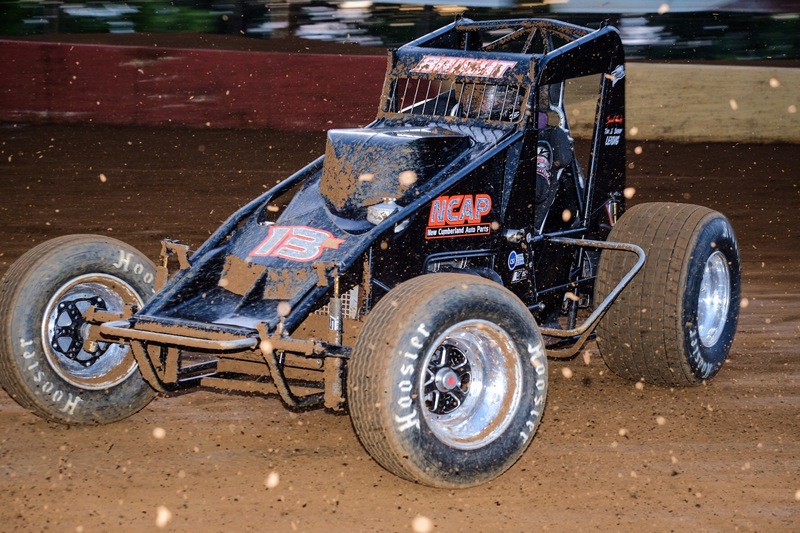 I must admit I was hoping to see Schuchart in the Bobby Allen car take the win, but the elder Schatz prevailed. 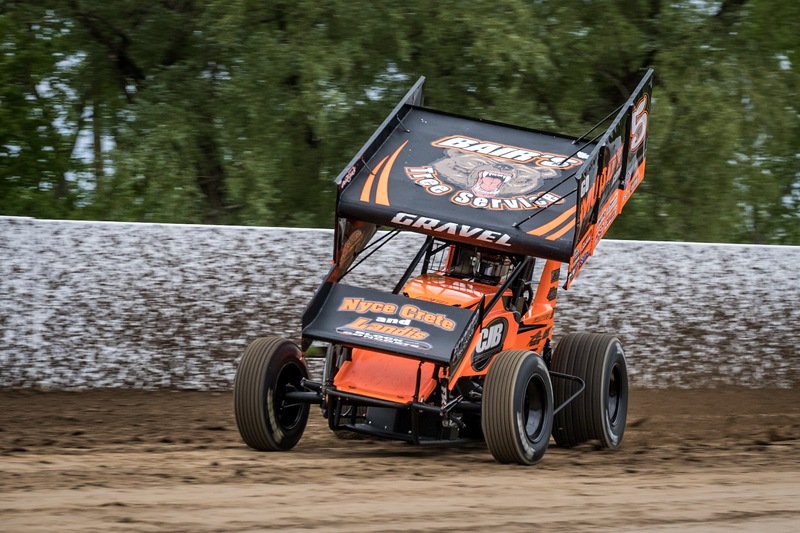 David Gravel finished third, Daryn Pittman, and Grad Sweet rounded out the top five. Just after the race winner finished in victory lane the sky’s opened up ending a great night of racing.